Jessie Yasmin Duarte was born on 19 September in 1953, one of nine siblings in Newclare, Johannesburg, Transvaal (now Gauteng) to Julie and Ebrahim Dangor. She went to school in Coronationville, Johannesburg, Transvaal (now Gauteng) and completed her Standard Ten (Grade 12) at the Coronationville Secondary School. Duarte started her professional career as a Management Accountant. In 1979 Albertina Sisulu recruited Duarte to establish women's structures throughout the country. By 1981 she was serving as the provincial secretary of the Federation of Transvaal Women (FEDTRAW), which was a United Democratic Front (UDF) affiliate. During this period, she worked with Reverend Beyers Naude to set up and administer a scholarship fund to educate and skill African National Congress (ANC) and UDF activists with the aim of developing a progressive core of public servants. She was detained without trial in 1988, released and placed under restriction orders until the State of Emergency was lifted. In 1990 Duarte was appointed to the ANC’s Interim Leadership Core and elected to the Gauteng Provincial Executive Council (PEC). She served in this provincial cabinet as MEC for Safety and Security. She was the Personal Assistant to both former President Nelson Mandela and Walter Sisulu until 1994. 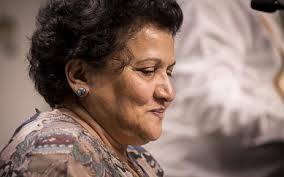 During South Africa’s negotiations to a democracy, from 1991-1994, Duarte was a member of the Regional Executive Committee of the ANC; she subsequently served as a special assistant to Nelson Mandela (1990-94); was on the ANC National Executive Committee (1997-1999); a member of the provincial cabinet (MEC, Safety and Security) for Gauteng (1994-1998); and was ambassador to Mozambique (1999-2003). Upon her return from her term of office as Ambassador, she was appointed as the National Spokesperson of the ANC before being deployed as Chief Operations Officer in the Presidency, South African Government until she resigned in April 2010. Duarte was elected Deputy Secretary General of the ANC at the 53rd National Conference in Mangaung, December 2012.